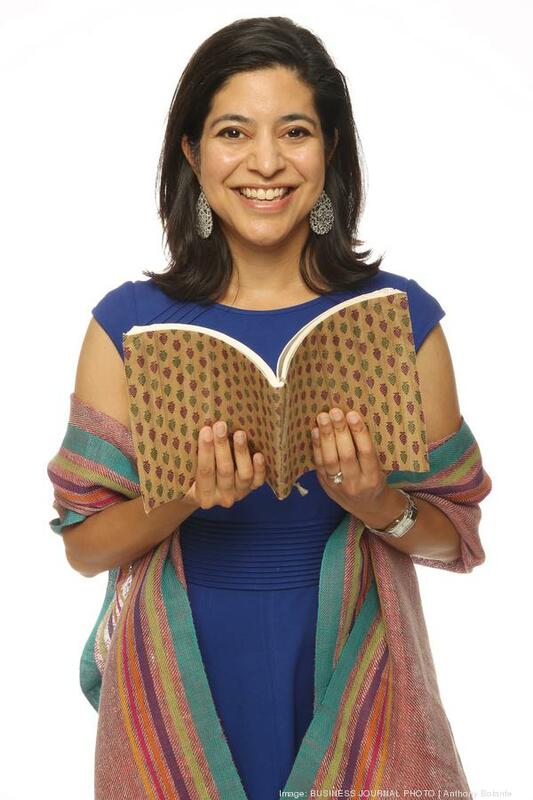 Upaya's Executive Director Sachi Shenoy was recently named to the Puget Sound Business Journal's "40 Under 40" list, an honor that "spotlights the top business leaders under the age of 40 who excel in their industry and show dynamic leadership." Below is a profile of Sachi written by PSBJ Staff Writer Steve Wilhelm for the feature, and subscribers can click the link at the bottom of the page to read an extended Q&A. Sachita Shenoy was brought up by her parents thinking it’s important to open doors for those who have had fewer opportunities in life, especially back in India. “Our dinner table conversations at home, my father and mother always talked about what can we do to help family members,” she remembered. The way she created to do that, and at the same time expanded to a much-larger sense of family, is a lesson in individualistic self-creation. Her Seattle-based Upaya Social Ventures is a unique mix — part venture capital firm, part global NGO — a nonprofit with a mission of creating good jobs for good people in India. Upaya’s six businesses now employ 1,200 people in India, and those businesses are rapidly growing, with a promise of hiring many more. The idea is that while traditional microfinance usually backs tiny one-person enterprises, Upaya backs people with bigger ideas to create larger companies that will hire a lot more people. Now, one Upaya company makes plates out of leaves, another contract with silk weavers. Now and executive director of Upaya, Shenoy had no way of knowing, earlier on, how her life would evolve. One good thing was that her Indian-born father, a cardiologist, believe she could do anything she chose. Early on, she thought that the route forward would be to earn a lot of money so she could give it away, so she took courses in economics and became one of the first women on the JP Morgan currency trading desk on Wall Street. But then she started to think there was a better way, and returned to school to earn an MBA. So she moved to India to work in the slums of Delhi on microfinance projects, which led to a job with Unitus, then a Redmond-based microfinance company. And so she moved to the Seattle area. But when Unitus restructured in 2010, she lost her job but saw an opportunity. She and some partners took over some of the contracts and created a new structure, where her company would support larger enterprises, invest in them and help them navigate the early years of growth. Click here to read an extended Q&A with Sachi (subscription required).